ISB is a non-profit school operating under Lumina Foundation. It does not have shareholders and all profits are reinvested to improve the school. We are members of the Council of International Schools (CIS) and the Council of British International Schools (COBIS). ISB has been present in Bucharest since 1996 and moved to a new, purpose-built location in 2008. Set in south Bucharest, the campus occupies 19 acres of field site and has attractive, well-equipped facilities including a big Sports Hall. 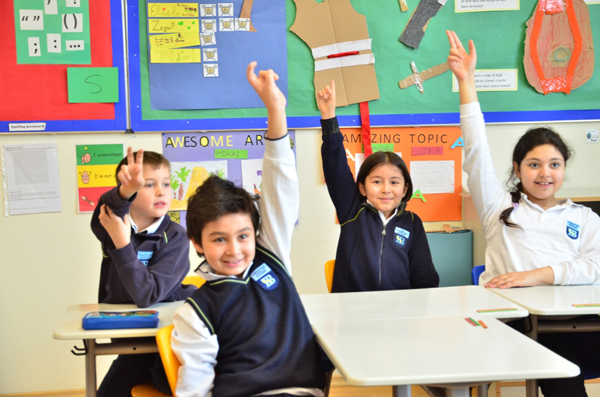 Currently ISB has a role of over 700 students aged 2.5 to 18. We have students from over 40 countries, who follow courses based upon the Cambridge International Curriculum. English is the language of instruction. Academic standards are high throughout the school in IGCSE and A level examinations. The pass rate in A levels is over 90% and our overall performance is comparable to good independent schools in the UK. We are dedicated to education in a broad sense. The school year is packed with sporting and cultural activities and students enjoy a stimulating environment where internationalism is fostered. The school has been authorised to be an IB World School to offer IB Diploma Programme starting from September 2017. Teachers at ISB come from a wide variety of backgrounds. Some are experienced international school teachers, whilst others have joined us directly from the UK system. There are over 80 teachers. They all share a common belief in the benefits of international schooling and are committed to providing the best education possible for our students. ISB recruits well qualified, experienced career professionals with relevant National Curriculum, IGCSE, A level and IB experience and contributions to co-curricular programmes are essential. Outstanding teachers from other backgrounds will be considered if the applicant is willing to learn and work within the ISB system and ethos. The remuneration package reflects the status and quality of this internationally renowned school. We are an equal opportunities employer committed to the on-going professional development of all our Employees. We actively promote the well being of all students and Employees and are familiar with, and uphold all, Safeguarding Policies and Child Protection Procedures within the school.